An Orthopantomogram (OPG), also known as an "orthopantogram" or "panorex", is a panoramic scanning dental X-ray of the upper and lower jaw. It shows a two-dimensional view of a half-circle from ear to ear. 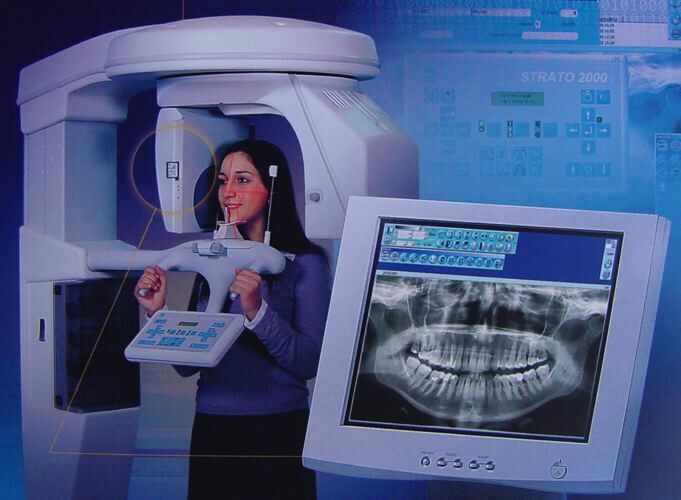 Dental X-rays radiology moves from film technology (involving a chemical developing process) to Digital X-ray which is based on electronic sensors and computers. One of the principal advantages compared to film based systems is the much greater exposure latitude. This means much less repeats, which also reduces patient exposure to radiation. Lost xrays can also be reprinted. Other significant advantages include instantly viewable images, ability to enhance images, ability to email images to practitioners and clients, easy and reliable document handling, reduced X-ray exposure, no darkroom is required, no chemicals are used. One particular type of digital system uses a Photostimulable Phosphor Plate (aka PSP - Phosphor Plate) in place of the film. After X-ray exposure the plate (sheet) is placed in a special scanner where the latent formed image is retrieved point by point and digitized, using a laser light scanning. The digitized images are stored and displayed on the computer screen. This method is half way between old film based technology and the current direct digital imaging technology. It is similar to the film process because it involves the same image support handling and differs because the chemical development process is replaced by the scanning process. This is not much faster that film processing and the resolution and sensitivity performances are contested. However it has the clear advantage to be able to fit with any pre-existing equipment without any modification because it replaces just the existing film. 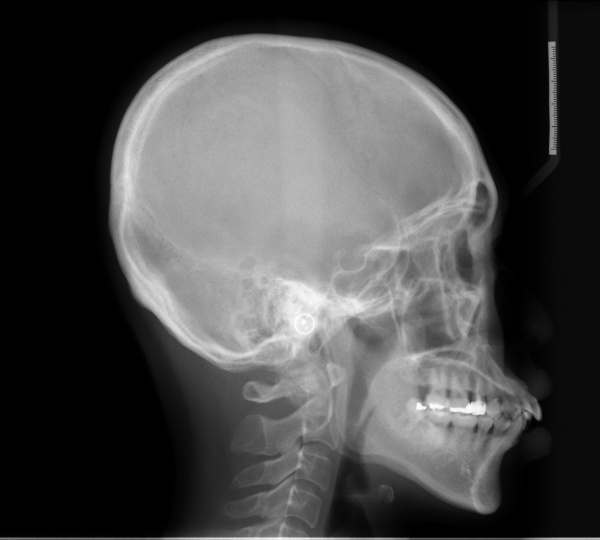 Cephalogram is a lateral or side view x-ray of the face, which demonstrates the bones and facial contours in profile on a single film. 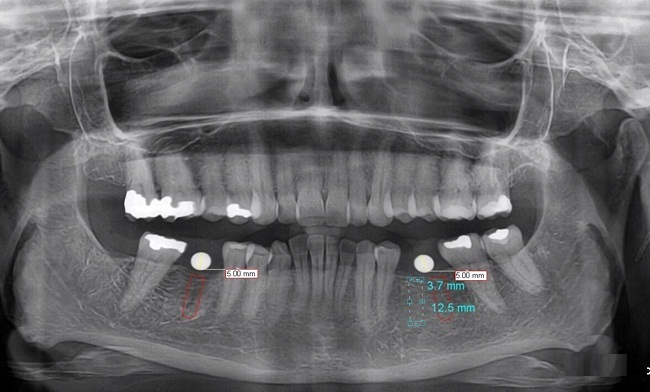 Lat Ceph x-rays are usually used in the diagnosis and treatment of orthodontic problems. Photographs of machine and specifications are only indicative. They may not match the actual at every location.